Hiring a Home Inspector – Don’t Settle for a Checklist! Your dream home might have a yard that is big enough for your dog, a LGBT-friendly neighborhood full of gourmet coffee houses and antique shops or be within steps of where you work. However, before you sign on the dotted line it is important to determine whether or not the home literally has a good enough foundation to support your lifestyle by hiring a home inspector who can provide you with a detailed narrative report about the property’s physical condition of the building. Is The Home a Bargain for A Reason? A home inspector can also provide you with answers as to why a home-for-sale might be offered at what appears to be a much lower bargain asking price than other homes in the area. 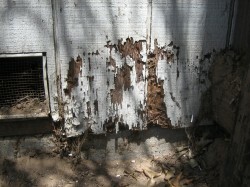 For instance, the house could have a failing foundation, asbestos in the walls or termites. You may be buying a house in the summer, not realizing that your heating bills are going to cost you almost as much as your mortgage in the winter. A home inspector can help you determine whether or not purchasing that “fixer-upper” is going to be worth its ROI (Return on Investment). This is especially a “must-do” if the house is older, or an architectural gem because those are the home at most risk of having a leaky roof or quirky heating system that could become an inconvenience or expensive problem. Certification and licensing qualifications for home inspectors vary from state to state so it is a very good idea to be quite sure that you are hiring a legitimate inspector by checking with a banking expert or on your state’s website. Often your real estate agent can recommend one but it is best for you to find one on your own. Look for a certified professional that has a degree in architecture or engineering as well as home inspection certification. You can find out quite a bit of information about home inspectors in general on the National Association of Home Inspectors website at http://www.nahi.org/. Keep in mind that when you sign a contract with an inspector that they are designed to limit any liability that they might have should a problem that was missed be discovered after the inspection of the dwelling. Be sure to read the fine print so that you know exactly what will be inspected and how the features of the home will be “graded” by the inspector. Find out the exact definitions of words such as “serviceable” or “satisfactory” and find out if either implies damage or dysfunction. In short, make sure that the inspection report that you are provided with is written in a way that you can understand. It is also best to hire an inspector who is willing to write you a report that is in written narrative form. Avoid inspectors that simply provide you with a checklist and nothing else, as these types of assessments usually do not have enough detail to support any arguments about the integrity of a property. It is also a very good idea to talk to your real estate agent and make sure that a home inspection is a condition of the sale. Do not buy a home that does not pass an inspection unless the problem is able to be redeemed by a lower sale and is an affordable repair. In fact, asking the seller to fix the problem found by the inspector can be a condition that must be fulfilled before the deal is closed. If at all possible it is important to have the seller or a representative of the vendor present during the inspection so that questions about the condition of the building can be answered immediately. CNN Money Top 5 Best Places to Live 2013 – LGBT Friendly? This year, as happens at the end of every year, CNN Money Magazine put out its annual list of the Best Places to Live in the United States. Although these cities may have a great deal of green space, strong community associations and affordable lifestyle, are any of these smaller towns that LGBT-friendly? 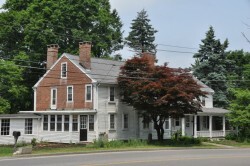 Pictured – Cobb’s Tavern: A structure in Sharon MA originally built in the 1940s that has been converted into a private residence. Photo credit: Wikimedia Commons. town turned bedroom community just a half an hour north from Boston. It is naturally beautiful and also prides itself on a diversity that is evidenced by a churches devoted to nine difference faiths and a population of people from all races. The residents are well-educated, wealthy and progressive in attitude but if you want to visit a gay bar you will need to drive or take the train to nearby Boston. of Boulder and twenty five miles northeast of Denver, which are towns that do have many LGBT hangouts and organizations. Number 3 on the CNN list is Vienna, Virginia. This is a commuter community of 16,825 that is home to the School of Rock and the Wolf Trap Park for the Performing Arts. It is famous for its cherry trees, energy saving initiatives and monster homes built in retro Craftsman and Victorian styles. There is no gayborhood or LGBT community here, but the bars and lifestyle support system is about a half-an-hour away in Washington D.C.. Number 4 on the list is Chanhassen, Minnesota. This is a very accepting community for gays and the LGBT positive cities of St. Paul and Minneapolis are half an hour away. The perks of living here include affordable home prices, 34 parks, 90 miles of trails and many cultural and winter festivals. Number 5 on the list is Sherwood, Oregon, which is a quaint small town just outside of LGBT-friendly Portland with affordable home prices and lots of surrounding majestic forest and park land. Vineries also surround this historic place and it is only a two-hour drive to the coast or east to Mount Hood to enjoy skiing. As is true of most of the best places to live on this list, the communities are too small to really support a large “gayborhood” or LGBT support network but all of them are close enough to the big city downtowns and “gayborhoods” that do have this support. If you would like to look at the CNN Top 100 Best Places To Live in the United States go to http://money.cnn.com/magazines/moneymag/best-places/. Remodeling? Review & apply this list to avoid a potential nightmare. Avoid low bids: People will do anything to have you hire them so you have to be cautious when taking this step. You might find a low bidding contractor that only ends up ruining your expectations. Try to obtain at least 3 different bids from different contractors before making up your mind on whom to choose. Remember, when the deal is too good… think twice. Go through the references: Checking the past work records for each company (Better Business Bureau / Yelp.com, etc.) and ask past customers who have used the services of a specific contractor/company. Another good place to search for complaints for different contractors would be the state’s attorney general’s office. Acquire a written contract: The benefit of a written contact is its clear specification of the details of what the remodeling process will entail. This is from the charges that will be incurred to the terms and conditions applied to payment. Never sign any contracts that have unclear amounts for materials and products. Once the project starts rolling, you will be following the terms alone. Go through the paperwork: It is important to review the paper work which includes up-to-date insurance, license and workers compensation guidelines. A good place to get information on licensing requirements specific to your state is the Contractor’s License Reference Site. You are not the one who is responsible for the acquisition of permits…, it’s the contractors’ job and he/she should issue you a lien waiver once the remodeling job is complete to avoid issues with suppliers and sub contractors complaining of unsettled bills. Never pay with cash: Don’t pay individuals / sub-contractors directly, instead issue a check to the contracting company. Paying through a credit card is an even more secure means. A good down payment would be something around 30% of the whole project cost, to purchase materials. Only make the final payment when the job is fully done and you are 100% satisfied and all permits are closed.